The DevOps / Copy Data Management space is absolutely on fire. Organizations of all sizes are seeking cross-departmental integration for IT operations, development and QA teams. Actifio has selected to partner with Pure Storage in offering AppFlash, a pre-configured DevOps appliance designed to accelerate the adoption of a DevOps model. 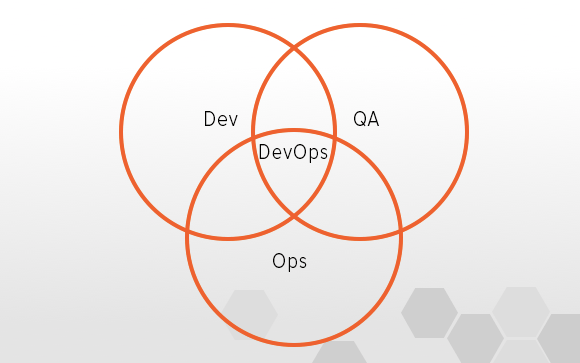 DevOps is a cultural and shift that includes the adoption of new processes and methodologies that foster communication, collaboration and coordination between operations, development and QA teams that reflects the software development delivery lifecycle. For many the model look like code > build > test > release > manage > monitor > update. Such DevOps methodologies and models are under served when the infrastructure doesn’t offer the appropriate level of agility and enablement required by the transform. This is where AppFlash can deliver tremendous value. AppFlash is deployed independent of the production IT operations stack. Deployment requires registering applications and their virtual or physical hosts. AppFlash leverages the capabilities native within the application stack (i.e. Oracle RMAN, VMware CBT, etc…) to seed and incrementally update the source data repository for a truly heterogeneous DevOps environment. Once up and running it’s a relatively simple process for the IT Ops team to publish policy-based service offerings which may include components such as defined service levels, role-based access, data masking, etc. Dev and QA teams can self-provision application stacks (app and data via compute, network and storage clones) on demand with zero interaction from IT Ops. Provisioning can be published via an HTML interface or enabled called as a REST based API, which can be directly integrated into existing tools and workflows. Agile, on demand and compliant. Powering Actifio’s copy data virtualization software with FlashArray has resulting in significant gains over traditional disk based, Actifio deployments. The FlashReduce data reduction engine is providing a significant increase in addressable storage along with a reduction in capacity requirements for Actifio’s cloning engine. The performance gains have demonstrated the ability to support more concurrent users per Actifio node and enabled a new level of performance oriented testing capabilities. AppFlash is available in three pre-configured offerings designed to ‘DevOp-ify’ source data sets of either 10, 20 or 40 TBs. It is also available in customer confirmations (think hundreds of TBs scale) for those with larger needs. I should mention that every AppFlash includes support for Evergreen Storage and thus is able to scale up capacity and performance non-disruptively and without loss of performance. I’m very excited at what we are helping Actifio bring to market and look forward to some of the enhancements our engineering teams are planning for the not too distant future. Seriously, there’s some pretty wild capabilities being discussed. If you’d like to learn more about AppFlash from the recent press release or at Actifio’s website.